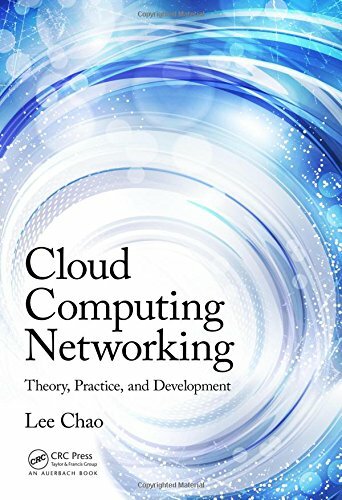 [PDF] Cloud Computing Networking: Theory, Practice, and Development | Free eBooks Download - EBOOKEE! Description: Cloud computing is the most significant technology transformation since the introduction of the Internet in the early 1990s. As more and more companies and educational institutions plan to adopt a cloud-based IT infrastructure, todayâ€™s job market requires IT professionals who understand cloud computing and have hands-on experience developing cloud-based networks. Cloud Computing Networking: Theory, Practice, and Development covers the key networking and system administration concepts as well as the vital hands-on skills you need to master cloud technology. This book is designed to help you quickly get started in deploying cloud services for a real-world business. It provides detailed step-by-step instructions for creating a fully functioning cloud-based IT infrastructure using the Microsoft Azure cloud platform. In this environment, you can develop cloud services collaboratively or individually. The book enhances your hands-on skills through numerous lab activities. In these lab activities, you will learn to Implement the following services in a cloud environment: Active Directory, DHCP, DNS, and Certificate Services Configure Windows Server so it can route IP traffic Implement IP Security Policy and Windows Firewall with Advanced Security tools Create a point-to-site connection between Microsoft Azure and a local computer Create a site-to-site connection between Microsoft Azure and an on-premises network Develop a hybrid cloud that integrates Microsoft Azure with a private cloud created on a local network Cloud Computing Networking: Theory, Practice, and Development includes numerous examples, figures, and screen shots to help you understand the information. Each chapter concludes with a summary of the major topics and a set of review questions. With this book, you will soon have the critical knowledge and skills to develop and manage cloud-based networks. No comments for "[PDF] Cloud Computing Networking: Theory, Practice, and Development".